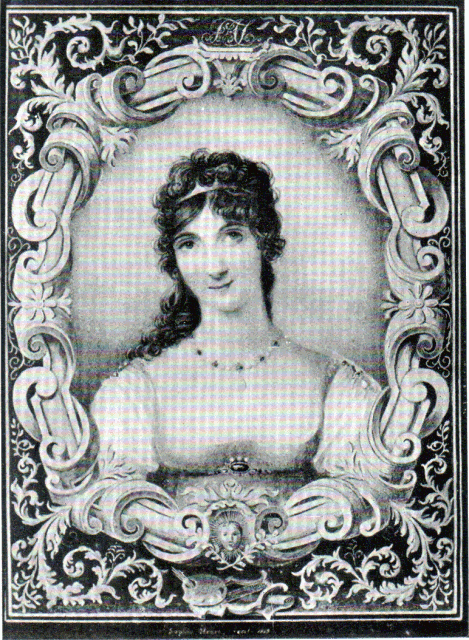 Susannah was born on 23 May 1770. She had crooked legs and an umbilical rupture which made her irritable. Because of this she was called 'Little Crab' by the other children and 'Gilly' by her father from a Gilhouter, the Cheshire word signifying an owl. She was a favourite of Johnson, who in 1777 said "I was always a Suzy, when nobody else was a Suzy". Johnson defended her as being strong and beautiful, against the opinion of her mother. Her mother described Susannah as "small, ugly & lean as ever; her Colour is like that of an ill painted Wall grown dirty." As she grew up, she was described by her mother as becoming pretty. Susan & Sophy are fine Girls, and promise to be a Credit & Comfort to their Parents, neither do I yet see any Disposition in the Eldest that need give one pain. Susannah was knowledgeable on many things and had a talent for reading elegantly. She was able to speak French and English by age five. She attended Mrs Stevenson's school in Queens Square, London, and Mrs Cumyns's boarding school in Kensington, London. I was always a Suzy, when nobody else was a Suzy. My second Daughter Susanna1 Arabella who will not yet be nine Years old till next May, can at this moment read a French Comedy to divert herself, and these very holy days her Amusement has been to make Sophy & sometimes Hester help her to act the two or three 1 st Scenes of Moliere's Bourgeouis Gentilhomme: add to this that She has a real Taste for English Poetry, and when Mr Johnson repeated some of Dryden's Musick Ode the other day, She said She had got the whole poem & Pope's too upon the same Subject by Heart for her own Amusement.—Her Knowledge of Arithmetick goes no farther than the four Rules, but She has worked a Map of Europe, and has a Comprehensive Knowledge of Geography that would amaze one. Susan is three parts a Beauty, & quite a Scholar for ten Years old: few passages in History or poetry,—I mean English Poetry—are new to her, & She is a Critick in Geography & French. Susan has a surprising turn for Letter writing; her compositions are relly elegant, & She delights—odd enough—in reading Voiture & Sevigné. They both2 have obtained the French Accent very completely , considering they have never been out of England. I should like to treat them to with a run to the Continent. Susan is already taller than me, & three parts a Beauty. In 1790, John Fuller, better known as "Mad Jack" Fuller, proposed marriage but was rebuffed. She remained unmarried. Susannah Thrale lived with watercolourist William Frederick Wells, a widower and father of seven, but did not marry him. She "joined him at his house", Ash Cottage, in Knockholt, Kent. Wells' name does not appear in the Thrale family correspondence. Susannah's mother Hester refers to him as "Mr Ash Grove". What the nature of their relationship was is open to speculation. Wells was a drawing instructor to young aristocrats and had exhibited at the Royal Academy. He founded the Society of Painters in Watercolours, now the Royal Watercolour Society in 1804. Susanhah Thrale lived at Ash Grove Cottage for the rest of her life, remaining there even after Wells retired to Mitcham, Surrey. Susannah died on 5 November 1858 aged 88 and was buried at St Leonard's churchyard, Streatham. She also has a monument at Knockholt Church, Kent inside the church. 1. Note the mispelt name "Susanna".